Is Air Travel expensive for You?? Of course it’s costly for Common people. But, hackers have found a way out of it too. If you have an iPhone then there is no need to buy airline tickets, as a simple iPhone hack can fool any modern airport and get you a seat in first class for free. Anthony Hariton, an 18 year-old computer science student at the University of Crete in Greece, claims he has found a plough to fetch free flight tickets across Europe by generating fake boarding passes designed for Apple's Passbook app. The student prepares to give his presentation entitled "Exploiting Passbook to Fly for Free," in a hacking conference next month, in which he will theoretically demonstrate on how to generate fake boarding passes using only a computer and an iPhone, then get through all the Security Airport checks and then eventually ending up on your first class seat to the destination of your choice. The iOS app "Passbook" allows you to scan day-to-day items such as movie tickets, gifts cards, boarding passes, and more stored in one place, so that users don’t have to carry any papers or docs all the time. Once the app stores the boarding pass, all a traveler has to do is present the boarding pass on your phone without having to slog through email or print out a paper copy. 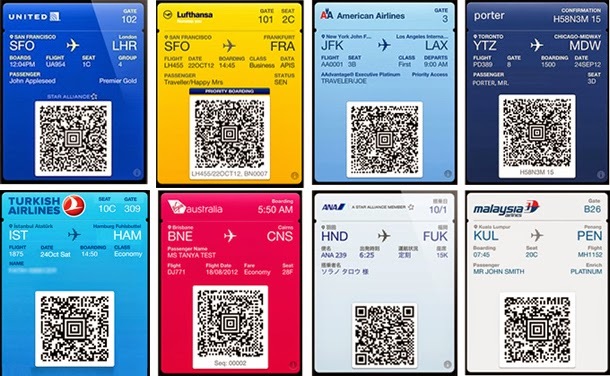 This is exactly how Hariton allegedly used Passbook to generate convincing boarding passes and he also claims that the hack of the Apple’s Passbook app is so simple that even a savvy user can do it, and to do it, all that’s required is a computer and a Smartphone for a method that puts to the test both physical and digital security. Hariton also suggests that one would also require a good poker face and nerves of steel along with the software hack, as "social engineering and a few more tactics" will have to complement the software. Until the Presentation is done, it doesn't make sense to say that the hack works. But, if it does work, there are more chances of those who are caught would most likely be arrested and charged with fraud and theft.